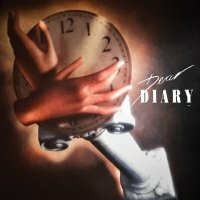 Eonian Records are doing fans of eighties rock a huge service and any lover of that era will enjoy Dear Diary immensely. As discussed in this month’s excellent ‘Melodic Hard Rock Labels’ feature elsewhere in the magazine*, Eonian Records are not just another in the growing list of reissue specialists - in fact they have taken the idea one step further. Rather than highlighting releases that deserve a second chance, or have grown in mystique and value on ebay as the years have passed, Eonian specialise in releasing demos from bands who never quite got the breaks with record labels their music deserved. Coming together during the mid to late eighties, Chicago’s Dear Diary gigged hard and managed to pick up prized support slots with the likes of Lillian Axe, Lynch Mob, Galactic Cowboys and Dream Theater, before folding in the face of grunge and its dismal shoe gazing. Now while Dear Diary are first and foremost a good time hard rock band, they bring together influences as wide and varied as Bad English, Def Leppard, Warrant and Diving For Pearls for what is a surprisingly effective blend of refined, slick grooves and thumping anthemic rock. ‘I Want To Know’, which highlights Dear Diary’s more party rock tendencies, kicks things off with an infectious riff dancing atop a punching beat, before Jeff Evans’ vocals surprise with their more restrained delivery. Not one to shriek and scream, Evans comes over a little like a mixture of Enuff Z Nuff’s Donnie Vie and (a vocally trained) Peter Criss. However his style works very well with the songs and both ‘I Want To Know’ and its follow up ‘Mama Said’ are instantly sing-along-able. ‘Slow Down’, does exactly that with a Leppard like guitar refrain that wouldn’t have been out of place alongside ‘Love Bites’ on ‘Hysteria’. However it is this style of slower track where Evans struggles a little, as also shown on the longer notes on ‘One Step Closer’ and ‘Plain To See’ which get away from him. The latter of those two comes from the final four songs on the disc, which sounds like they have come from a different session from the first six (the band recorded two demos, one self titled and the other called 2:57a.m. ), as they vary slightly in sound and style. The guitars are sharper in the mix and the backing vocals are more adventurous in their arrangements. Style wise, however, there is a shift into refined AOR territory, although the guitar work of Dave Schafer and Nick Panos remains at the forefront of the Dear Diary sound and is excellent across the whole disc. What also adds to the mix is the drumming of Vince Cosono, who combines power house rhythms with some more intricate patterns, leaving Mike Levin on bass to lock in to the rhythm guitar and keep the songs pumping along. In a genre littered with bands that never got the recognition they deserved and amazing recordings that never saw the light of day, Eonian Records are doing fans of eighties rock a huge service and any lover of that era will enjoy Dear Diary immensely.